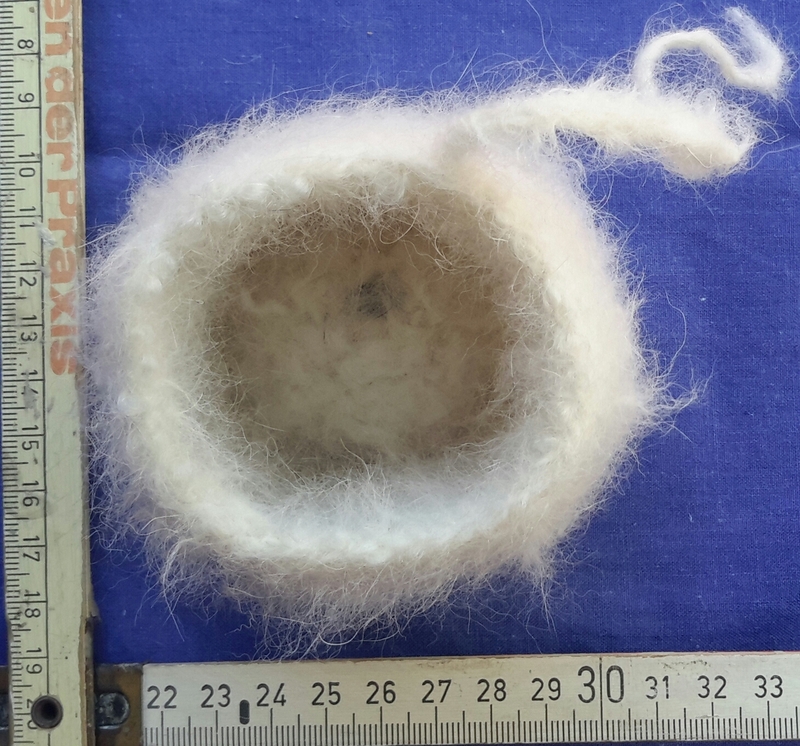 Husky fur – a felter’s tale – Craft-a-licious . .
How to felt dog fur. 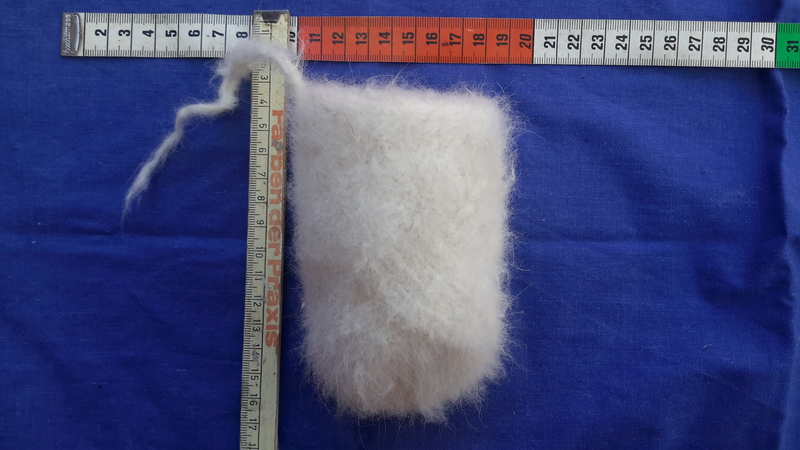 A while back a friend, who has a very human-like husky called Cairo, kindly gave me some of his dog’s fur, which I tried felting at home as it is such a fabulous fibre. I didn’t have much luck though. 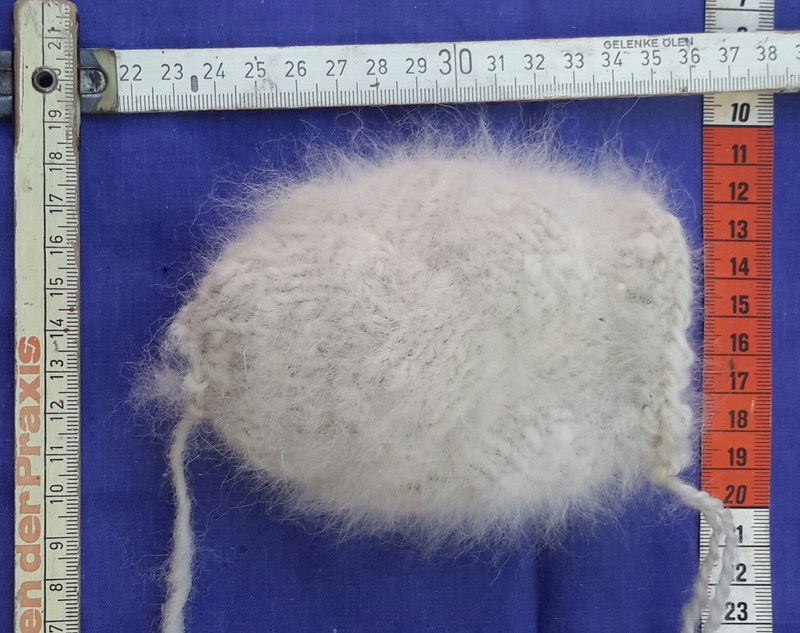 My next project for Cairo’s fur was to have it spun into a yarn, knit it up THEN felt it. I decided to try knitting it using one of my favourite patterns, these sweet entrelac in-the-round knitted bags. The fur knitted a very dense, fluffy, soft, thick, albeit heavily canine-scented – pouch. 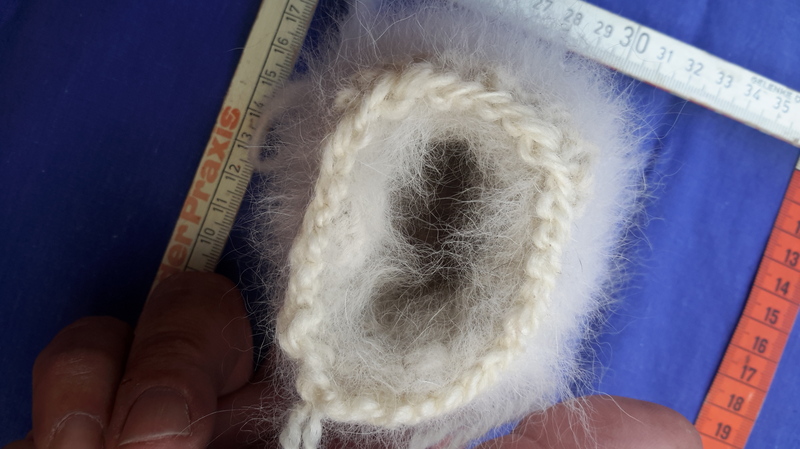 Even though the stitch definition on the little bag is unclear – I wanted to see if the yarn could stand the ‘pressures’ of this knitting type, which it did. pouch opening is near numbers in orange of measuring tape. I rubbed, scrubbed, rolled, shocked, pummeled and flung that little bag within an inch of it’s life! Though it did shed a lot of it’s fibre – mainly on my hands, clothes, bathroom, pavers, outside tables etc. – it only got, at best, negligible shrinkage. I am rather chuffed with the end result and think the next Cairo project is to knit a tea cosy then felt it, as it is so very soft and dense – and a great talking point. 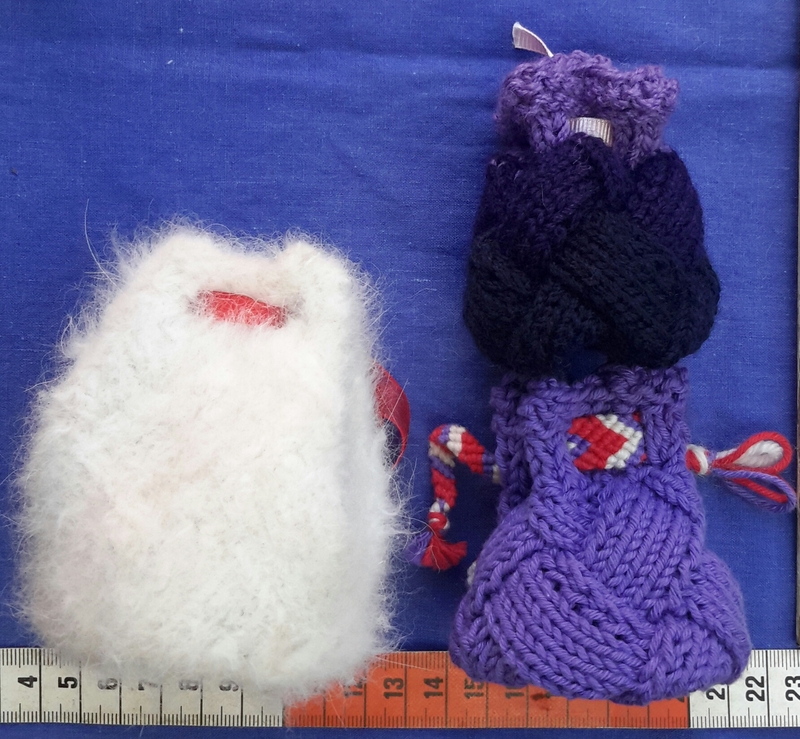 Comparing the the 2 smaller pouches knitted in 8ply with Cairo’s yarn, it does have a lot more ‘oomph’! haha i had to laugh at this cath esp your ‘canine-scented’ remark. the idea is pretty ewww! but what a cute lil pouch! i love the more ‘mainstream’ ones u knitted me last chrissy (i’m using them to store or carry jewellery in) a tea cosy in cairo fur would be outrageous! Love your work Cath! You are a fantastic writer. Look forward to following you on here. You’re very kind sweet Monnie! Looking forward to having you come along for the ride. Thx Deb! I think you may just have to spend those chilly nights in Barbados instead – you lucky traveler!! You are a pirate hoard of information-treasure Cath! Love love the link to Colossal, so many meticulous original works, so many wonderful mind-bogglers! And the TEDx talk by Carrie Green had sincere tips for success in real life, given thru the lens of her huge personal entrepreneurial experience. Motivating!